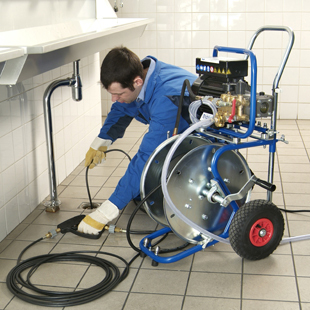 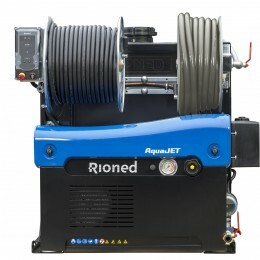 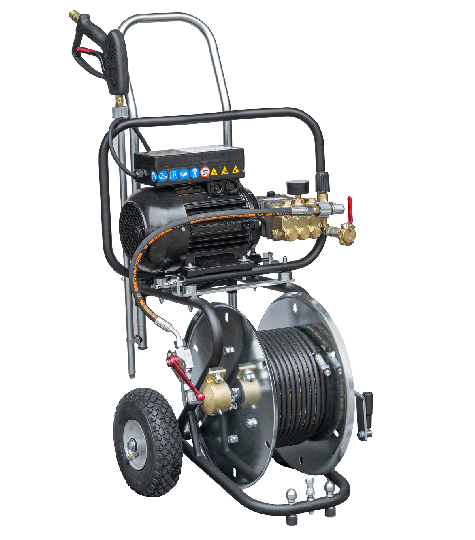 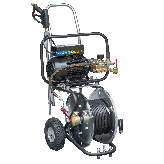 The MiniJet is a high pressure jetting machine for residential- and light commercial use. 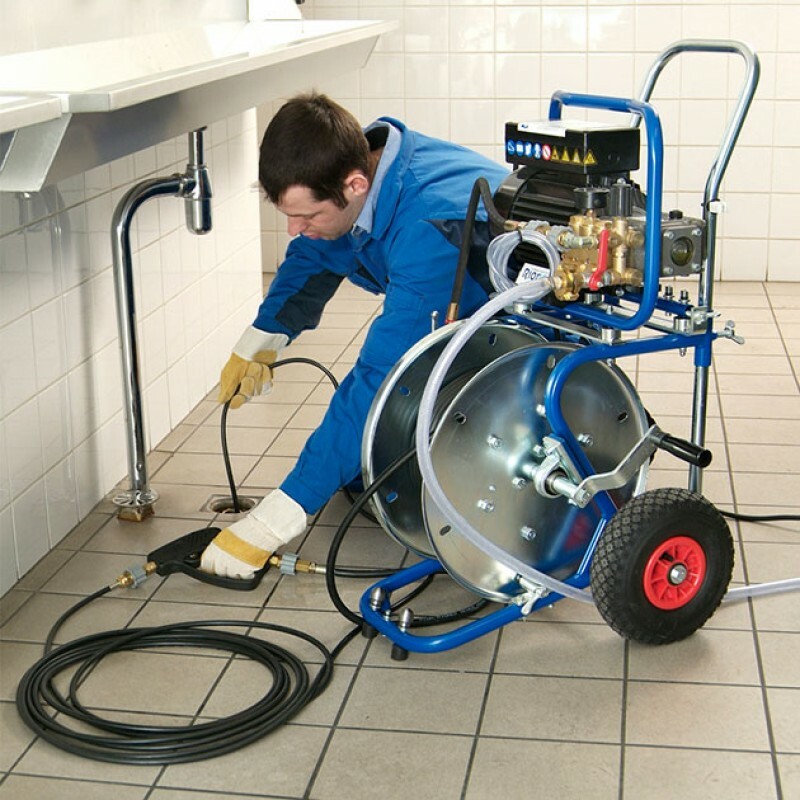 Equipped with a silent and powerful electric motor and professional pump it is ideal for cleaning drains from 25 to 100 mm. 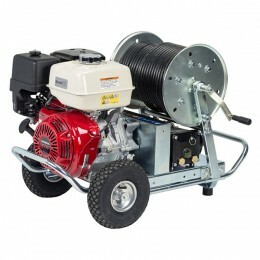 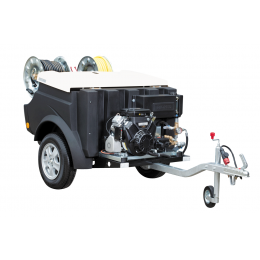 The motor/pump can be easily removed and used independently (with a NW 5 hose) from the hose reel, meaning you can leave the hose reel section behind if the workspace is limited.